Entire Month of November Still Available! 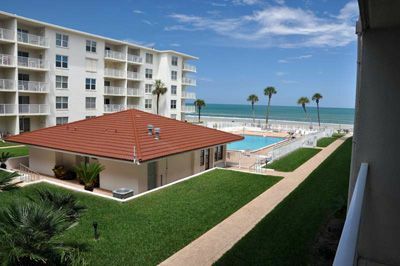 Enjoy your next vacation in an Ormond-by-the-sea Ocean view condo. 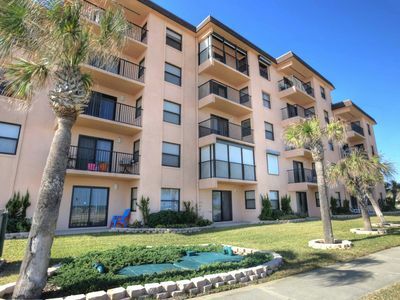 This condo is 1200 square foot, comfortably furnished. It is a very clean unit in excellent condition. Our condo is available only by the month at this time. 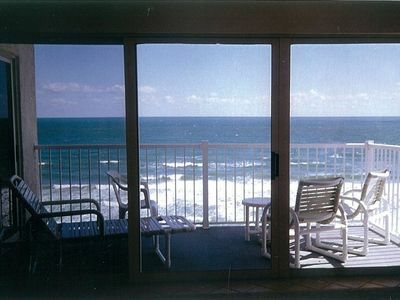 This unit has expansive ocean views from the living room and balcony. Large balcony with sliding doors accessible from living room. Comfortable chairs, stools and table provided to watch the ocean waves or the evening sunset. 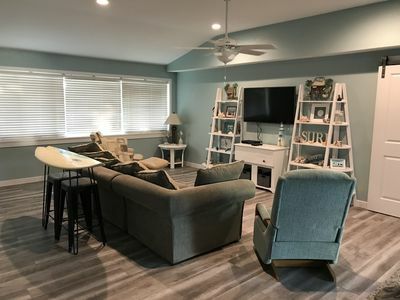 Living room is equipped with Full size sleeper sofa, stereo, 32 inch Flat Screen LCD TV, DVD player (Blu-Ray) with a large assortment of movies, puzzles and board games and books, along with beautiful ocean views. WI/FI with a secure network as well as Cable tv. Large Master bedroom has Queen size bed with memory foam mattress cover, large closet, dresser and walk-in shower in its own bathroom. 32 inch flat screen tv in Master bedroom. Large second bedroom has 2 twin beds with memory foam mattress covers, a large closet and dresser. Full size bath in hall. Both bedrooms furnished with night tables with reading lamps. Full sized kitchen is fully equipped with stainless smooth top range, full-size refrigerator with ice maker, dishwasher, microwave, garbage disposal, coffee maker, toaster, blender, cookware, glassware and assortment of utensils. Everything you need to cook a meal or just a snack. Open concept so you can visit with your guests while in the kitchen. Separate laundry room in condo with Full-size washer and dryer. 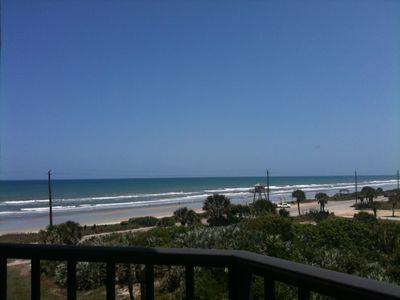 Beach chairs, boogie boards, beach buckets, swim noodles, beach towels and umbrellas are included. All you need to bring is your clothes and food. Complex is quiet and well maintained. 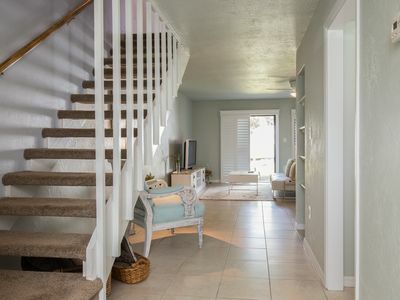 Elevator and stairs for easy access to this fourth floor unit. Private, newly renovated pool . 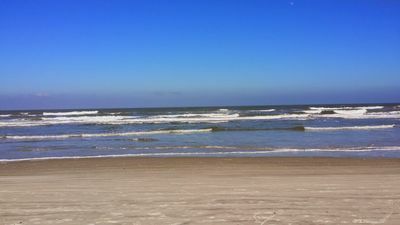 Easy walk and private access to a quiet/no- cars/no- drive beach and never crowded. Stroll on a secluded beach at sunrise and watch the sunsets every evening from your own balcony. Swim, surf, collect shells or just relax under your umbrella and watch the dolphins play. 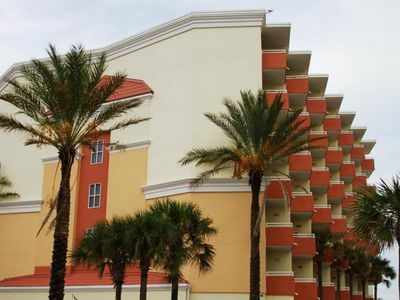 Easy access to many attractions and activities. Many excellent restaurants nearby. Large book in condo with maps, menus and info of the area. 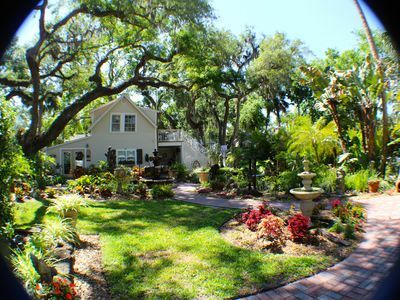 Close to Daytona Speedway, Orlando attractions and Historic St. Augustine. 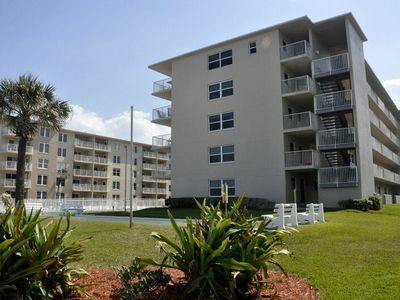 Located in Ocean House Condominiums in Ormond by the Sea. Home Away from Home; Beach Paradise; Bring Your Toothbrush and Come! 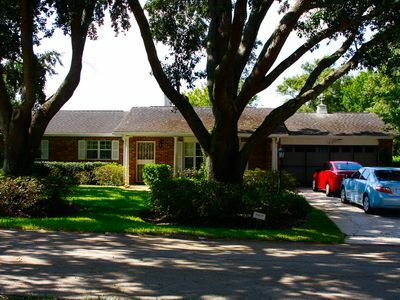 Beautiful Family Home, your Oasis centrally located to beaches and theme parks!! 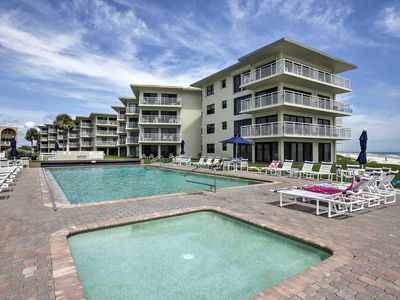 "Your Own Private Resort" In NSB.